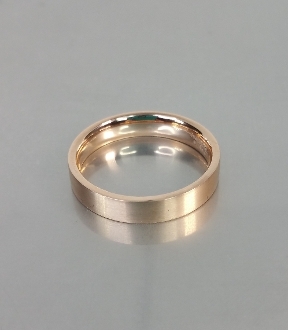 This handmade ring is set in solid 14 karat rose gold. It is featured with a soft matte finish. The inside of the band is a rounded, comfort fit.